Welcome back to Stay Tuned, Vulture’s TV advice column. Each Wednesday, Margaret Lyons answers your questions about your various TV triumphs and woes. Need help? Have a theory? Want a recommendation? Submit a question! You can email staytuned@nymag.com, or tweet @margeincharge with the hashtag #staytuned. Sorry, let me update my AARP membership, install guardrails in my shower, and give cartoon Pocahontas some sage advice, because lo, your question makes me — and I’m gonna guess a few fellow Stay Tuned readers — feel unbelievably old. Please don’t sneeze near me because I will blow away, because I am now simply made of dust, on account of my ancientness. Have you met my boyfriend, Cashel Man? We’re very happy together. Any day now my body will be turned into kerosene, since, as you know, I am an actual fossil. I recommend watching the show on its own terms. 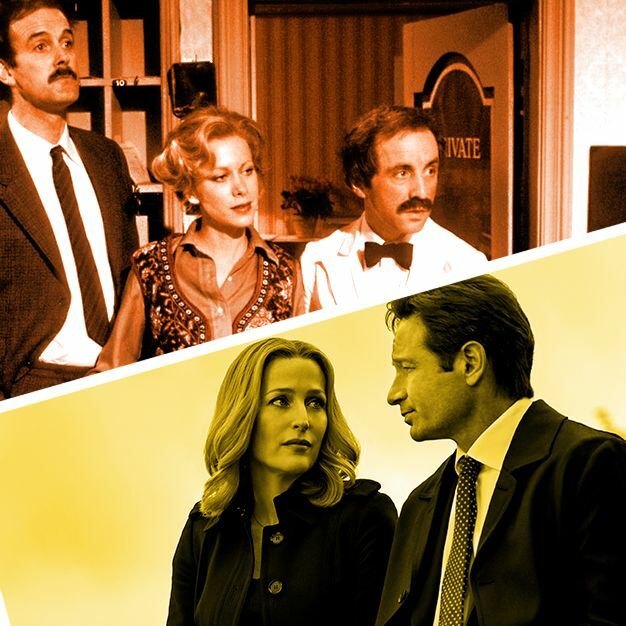 It is largely accurate, though it’s not perfectly so, but a lot of the changes just make for better TV, a better story, maybe something that connects a little more to the present day than it would otherwise. Enjoy that! Take advantage of that! Because you are a tiny, precious baby still brimming with the energy of the young, you might not know this yet, so let me contribute to the inevitable deflation of your sense of wonder: Don’t worry about missing out on “half the fun.” There is no “half the fun.” If you find something you like, be it a TV show or a hobby or a job or restaurant or whatever, just like it the way you like it, and don’t worry about how other people do it. Attempts to maximize often backfire, and the desire to become the world’s leading expert in something (a desire I understand completely) frequently leads to an inability to enjoy that thing the way you once did, back when you knew less. If you found the show entertaining, consider it a win. If your interest is truly whetted, then go read the book the show is based on (The Run of His Life: The People v. O.J. Simpson by Jeffrey Toobin), or any of the other dozens of books and articles about the case. And then rewatch Unbreakable Kimmy Schmidt and consider the warped Play-Doh Fun Factory that is American culture. And also then floss, because you’ll regret it later if you don’t. You are not gonna like the rest of Weeds, Kate. Sorry. I’m a little surprised, given how much the shows have in common, but life is full of surprises. If you want gripping prison drama, but in a way darker vein, try Wentworth; poppy dialogue among interesting people, try Transparent; something off-kilter, with both a sinister side and a sense of humor, try The Riches. These new episodes are not particularly representative — they are worse. (Well, “Mulder and Scully Meet the Were-Monster” was pretty good.) Which is not to say there aren’t bad episodes of The X-Files, because there are, but the hit ratio is much, much higher than 1-6. You could still skip plenty of episodes if you felt like it, but if these new eps met your standards, you are in for a real treat! Also, c’mere and teach me to appreciate Snapchat, because between you and Josh, I apparently could be connecting more with the youths. Yeah, there are a handful of hotel shows, though not as many as one might think. American Horror Story: Hotel and Bates Motel spring to mind, though perhaps that’s not what you were envisioning. Jane the Virgin is set in a hotel, though that’s more present in season one than in season two. The Suite Life of Zach and Cody I suppose should technically be mentioned here, though I can’t say I’m recommending it in any capacity. In the ‘80s, there was an ABC prime-time soap called Hotel, starring James Brolin and his very lush beard. Twin Peaks has plenty of hotel material, as does Veronica Mars, though neither is truly set in a hotel. There was a short-lived WB show called The Mountain set within a ski resort, and tens of us watched it when it aired. The classic example is definitely Fawlty Towers, but England’s also got The Grand, a period soap set in the 1920s, and Hotel Babylon, too. There’s also the Spanish drama Gran Hotel, which is pretty sudsy but often terrific. Do you like that kind of show? Beards, swords, everything is hella muddy, all the hair is elaborately braided, there’s a guy who’s super into protecting his son (and shouting), candlelit love affairs, ominous birds, men grappling with their “legacies,” old people prone to grimacing because they remember the way it used to be, etc. If you do, yeah, Vikings is a solid, sometimes very good representation of the genre. I’m not sure it holds super appeal for people who don’t already like that kind of show, but if you do — if you like Game of Thrones, The Pillars of Earth, other Middles Ages stuff, or even swords-and-sandals stuff, yes, go forth and viking. Can I Watch O.J. If I Don’t Remember the Trial?